Driving to and from work every day is brutal. If there's anything that can make your car commute more entertaining, productive, and safe, it's these 12 products. All that time sitting in traffic passes a lot faster when you have an engrossing audiobook playing, your favorite hot beverage next to you, and a soothing eucalyptus essential oil filling your space. While the frustrations of public-transit commutes are a favorite topic of conversation among city dwellers, we also know that a significant chunk of the population drives to work, and they have their own set of daily-commute troubles to deal with. There are pros and cons of driving to work. On the one hand, you have your own private space to do whatever you want and you don't have to interact with other people. On the other, you have to pay more attention to the road ahead of you and stay alert as you putter along at 15 mph in rush-hour traffic. 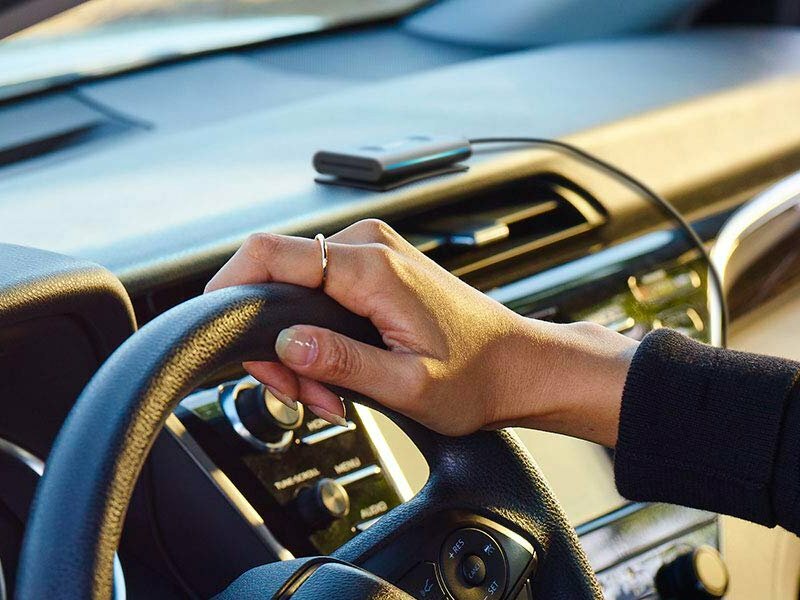 These car-commute essentials cater to both the advantages and disadvantages of driving to work, helping you be comfortable in ways that would never be acceptable on a subway train, and stay productive or entertained as you keep your eyes on the road. A few of the recommendations come from road warriors who spend at least an hour each way going to and from their office, so you can trust their well-honed techniques. Make your car commute more bearable with these 12 accessories.